Organic growth at small-cap technology stock Adapt IT has slowed from 9% to 4% as clients in the higher education, manufacturing, resources and banking segments curb their spending in the face of extended slow economic growth. However, acquisitions made in the past year ensure that the ambitious IT firm, which hails from Durban, continues to grow turnover and earnings growth in the double digits — bringing the group slowly towards its goal of turning over R3bn/year by 2020. It generated R578m in 2015. Turnover for the six months ended 31 December 2016 increased 48% to R460,7m, with acquisitions accounting for 44% of that growth. Growth was boosted by the inclusion of CQS, an expert in audit, financial and risk management, and EasyRoster, a provider of rostering optimisation software solutions. These companies will add to the services offered to existing and new clients in the financial and manufacturing sectors and have extended Adapt IT’s offshore offering to 40 countries, up from 28 a year ago. Earnings before interest, tax, depreciation and amortisation increased 44% to R89,9m. Operating profit increased 32% to R69,5m. Adapt IT has disclosed normalised headline earnings per share for the first time as a result of the high non-cash expenses in terms of International Financial Reporting Standards related to its acquisitions. These expenses are mainly amortisation of intangible assets (such as internally developed software and customer relationships) and notional interest on deferred purchase considerations, which depend on the achievement of profit warranties. Non-cash amortisation costs of R13,5m and notional interest costs of R5,3m were expensed, which totalled R18,8m (2015: R7,7m) for the half year. As acquisitions will be an ongoing hallmark of Adapt IT, in line with its growth strategy, it has stated that it will report normalised earnings on an ongoing basis, as management believes this will add value to the user of the financial reports. Normalised headline earnings per share grew 20% to 34,74c. By comparison, Heps grew 2% after taking into account the non-cash expenses described above, together with higher bank interest. This resulted from the change in capital structure arising from the R160m in new debt taken on to fund the R217m CQS acquisition, together with the debt acquired in CQS, which saw bank interest grow to R10m from R4,5m. 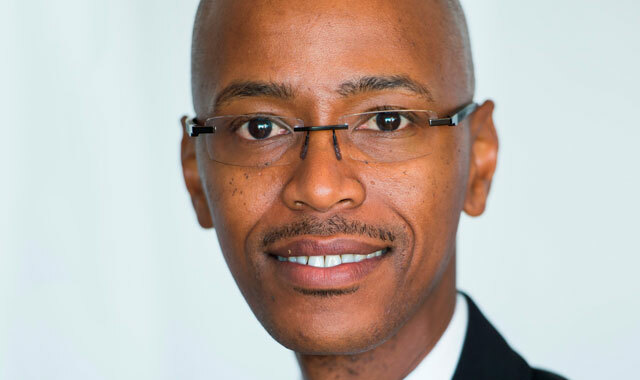 “Utilising significant gearing for the first time to acquire CQS was beneficial for our shareholders, as Adapt IT could quite comfortably take on the debt, avoiding unnecessary shareholder dilution,” says CEO Sbu Shabalala.